Becton, Dickinson and Company (BDX), a medical technology company, develops, manufactures, and sells medical devices, instrument systems, and reagents worldwide. This dividend champion has been able to boost distributions for 42 years in a row. The company’s last dividend increase was in November 2012 when the Board of Directors approved a 10% increase to 54.50 cents/share. The company’s peer group includes Medtronic (MDT), Baxter International (BAX) and St. Jude Medical (STJ). Over the past decade this dividend growth stock has delivered an annualized total return of 12.40% to its loyal shareholders. The company has managed to deliver an 8.70% average increase in annual EPS since 2004. 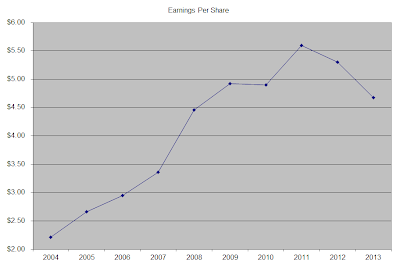 Analysts expect Becton Dickinson to earn $6.26 per share in 2014 and $6.84 per share in 2015. 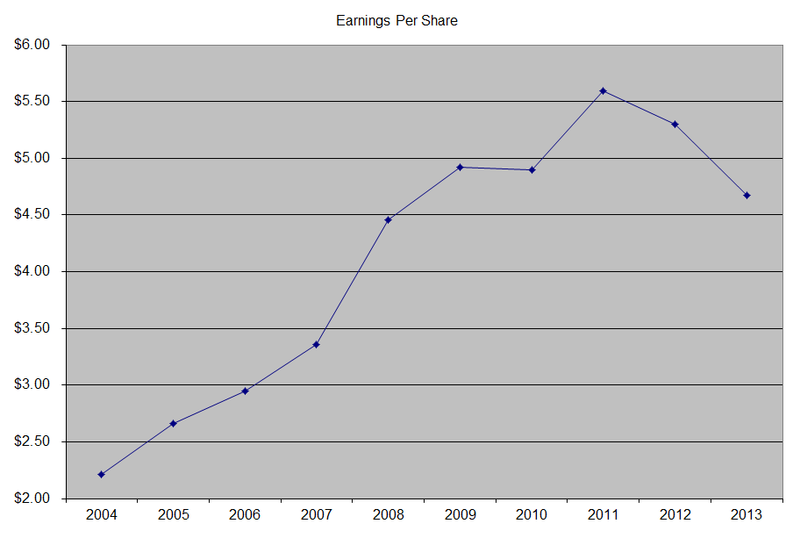 In comparison, the company earned $4.67/share in 2013. The company’s earnings were reduced by a one-time charge of $1.06/share related to a lawsuit filed against the company by Retractable Technologies. 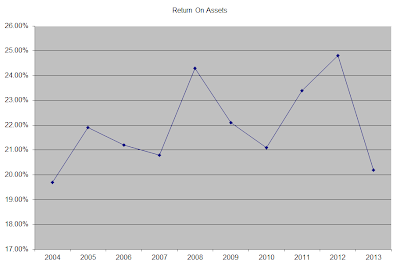 Becton Dickinson has also managed to repurchase plenty of shares over the past decade, bringing the number of shares from 263 million in 2003 to 200 million in 2013. While the company is expected to face higher costs by $55 million from the implementation of the new medical device tax in 2013, it should be able to benefit from increased healthcare spending in the US and internationally. 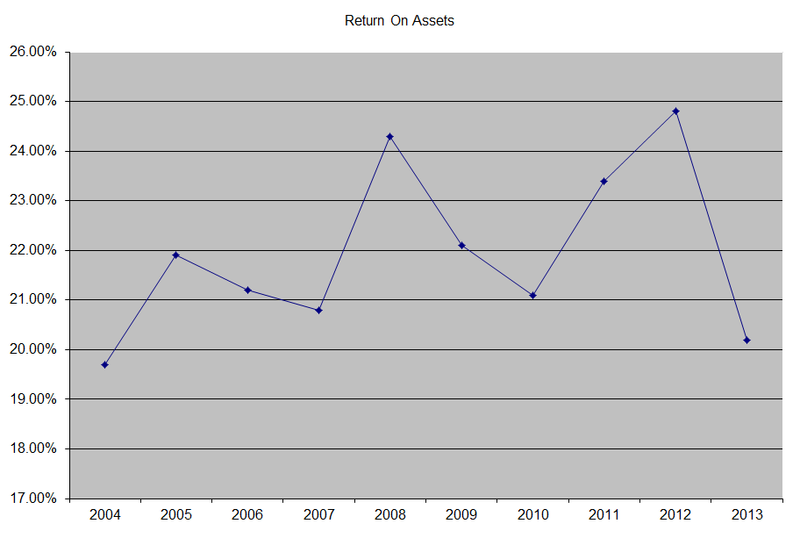 The return on equity has remained high above 20% over the past decade. I generally want to see at least a stable return on equity over time. 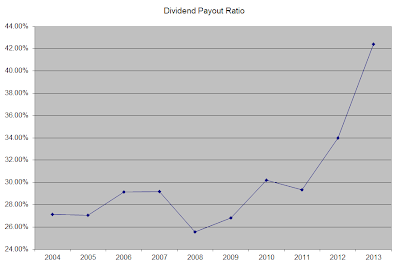 The annual dividend payment has increased by 16.80% per year over the past decade, which is higher than the growth in EPS. 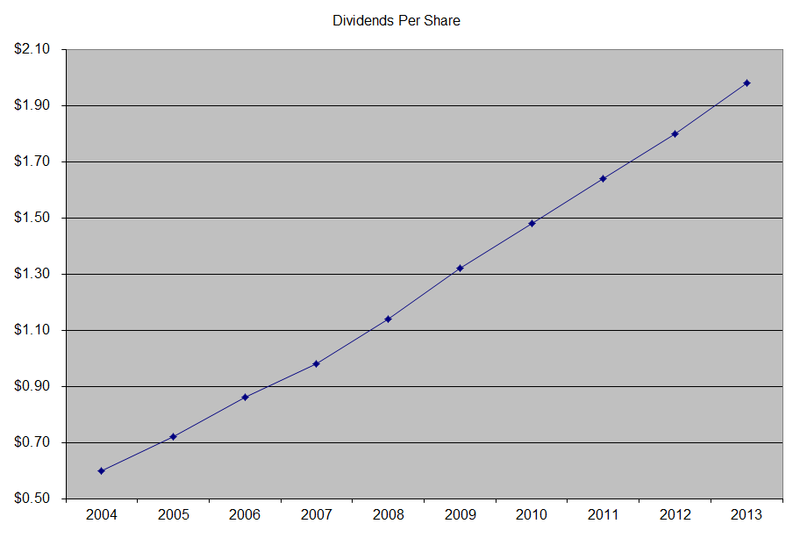 The past three dividend announcements were for a hike of 10% in dividends each time. 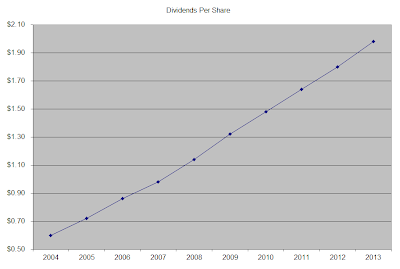 Going forward, I would expect dividend growth to closely approximate 10%. 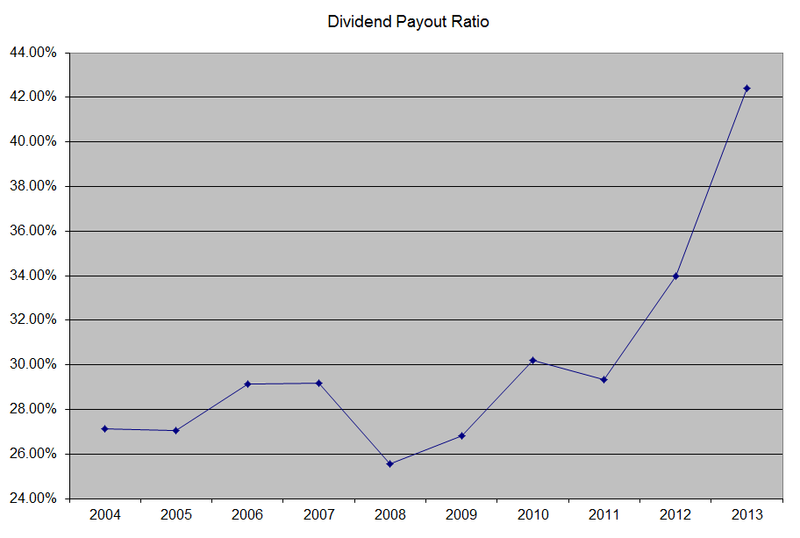 The dividend payout ratio has increased from 27% in 2004 to 42% in 2012. This is a short-term spike, caused by one-time accounting items discussed above. On a forward 2014 earnings basis, the dividend payout ratio is approximately 35%. A lower payout is always a plus, since it leaves room for consistent dividend growth minimizing the impact of short-term fluctuations in earnings. Currently Becton Dickinson is attractively valued at 17.40 times forward earnings, yields 2% and has a sustainable distribution. I recently initiated a small starter position in the stock. I find it much easier to monitor a company I am interested in, if I have some skin in the game. As a long-term dividend investor in the accumulation stage, I get excited if the companies I am interested in are on sale, because I get to buy more shares with my limited amounts of capital. Although this price is a low probability event, I plan on adding to my position on dips below $88/share, equivalent to an entry yield of 2.50%.